The new movie “Gambit”, directed by Michael Hoffman, faces criticism from ADI for featuring two lions. The animals were trained by Randy Miller, whose own cousin, also a trainer, was killed by Miller’s bear “Rocky” in 2008. The film is due out in the UK next Wednesday, 21 November. The movie, a remake of the 1966 classic starring Michael Caine and Shirley MacLaine, stars Colin Firth, Cameron Diaz and Alan Rickman and tells the tale of an art curator who seeks revenge on his boss by trying to con him into buying a fake painting. The lion trainer for the film was Randy Miller. He owns a California-based company called “Predators in Action” which “specializes in location and studio-trained exotic animals”. The company’s “lions, tigers, leopards, cougars, wolves and grizzly bears appear in films, television, commercials, print advertisement, and live shows”. In April 2008, a bear, “Rocky”, owned by Miller attacked and killed his trainer cousin Stephan Miller who was working on a commercial at the time. Captive-born and trained to be a ‘wrestling’ bear, “Rocky” featured in a number of commercials and movies, including “Semi-Pro” with Will Farrell, until the attack. Miller has not been allowed to place “Rocky” on exhibit or use him for TV/film work since the attack four years ago. At a recent hearing by the California Fish & Game Commission on 3 October, these restrictions remained in place. At the time of attack, Miller was quoted by USA Today saying "It happened so fast….We did what we had to do to stop the bear. It took a matter of seconds to get him off, but it was too late." The argument against the use of wild animals in movies speaks for itself – from both an animal welfare and public safety point of view. We should not be using these majestic creatures – who are trained to perform degrading tricks – nor risk injury and death to trainers and actors, for cheap entertainment. The risk and the suffering is too high. 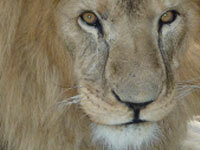 ADI urges the movie industry to embrace new technologies and call time on the use of wild animals. Boycott “Gambit” and other movies that feature wild performing animals and encourage friends and family to do so also – why not write to your local paper to let others know about the cruelty involved?